For many women, pregnancy is a time of excitement and joy, resulting in a healthy new addition to the family. For others, however, pregnancies or deliveries may result in moderate complications, life-threatening events, or even death. Maternal health and safety in Texas has been the subject of substantial public discussion and legislative attention since a 2016 study in Obstetrics & Gynecology found that Texas’ maternal mortality rate had more than doubled between 2011 and 2012, resulting in an overall increase that was substantially higher than the national average. Subsequent analysis discovered that many deaths that had been identified on death certificates as maternal deaths were in fact miscoded, inflating the numbers. Using an enhanced method which involved in-depth case reviews, the maternal mortality ratio in Texas in 2012 was less than half that obtained using the standard method. Both the controversy and the correction, however, brought attention to several important aspects of maternal health and safety in Texas. The collection and analysis of data surrounding maternal death has not been as accurate, comprehensive, or targeted as it could be. More importantly, racial/ethnic disparities still exist in maternal mortality and the majority of these deaths are potentially preventable. The United States has the highest rate of maternal mortality among developed nations , with about 18.0 maternal deaths per 100,000 live births. But even at these relatively high rates, maternal mortality is too rare a statistical event to map meaningfully. Severe maternal morbidity, however, is an unfortunately common occurrence. For every maternal death in the U.S., about 100 women experience severe maternal morbidity. In 2013-2014, severe maternal morbidity affected more than 50,000 women in the U.S. (approximately 14.4 per 1,000 deliveries). Texas has approximately 400,000 births annually, accounting for 10% of all births in the U.S. Thus, maternal health outcomes in Texas has national implications. According to a recent report, the severe maternal morbidity rate in Texas in 2015 was 19.7 per 1,000 deliveries. This analysis of severe maternal morbidity rates in Texas, and the large and small area maps that accompany it, are intended to improve the quantity and quality of information on a critical indicator of maternal health and safety in Texas. The hope is that these maps can inform policies and resource allocation at the state and local level, guide further research, and ultimately, help strengthen the design and evaluation of interventions to meet specific community needs. Suggested citation: Salahuddin M, Patel DA, O’Neil M, Mandell DJ, Nehme E, Karimifar M, Elerian N, Byrd-Williams C, Oppenheimer D, Lakey DL. (2018) Severe Maternal Morbidity in Communities Across Texas. 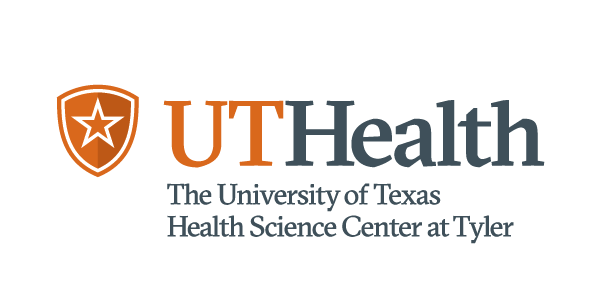 Austin, TX: University of Texas Health Science Center at Tyler/University of Texas System.